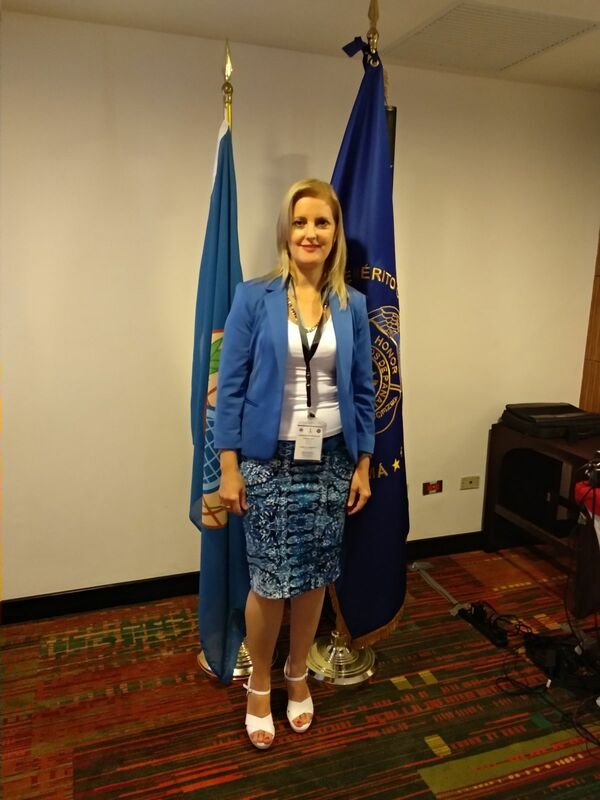 Former Lieutenant Andrea Fabiana García Centurión is an OPCW Regional Instructor as well as Chemical Instructor in the School of Military Engineering of the National Army of the Republic of Uruguay. She holds a degree in the chemical field from the National University (UdelaR). From 1990 to 2012 she worked as a chemist in the Quality Control area of the Military Hospital's Pharmaceutical Laboratory. During her career she completed numerous national and international courses in the chemical weapons field. From 2016 to 2019, she worked as Production manager in the Explosives Factory of the National Army. What do you think are, as a woman and a professional, the biggest challenges working in CBRNe defense? Is there something in particular that you would have wanted to know at the beginning of your career? I would say that my biggest challenge has been working with extremely dangerous agents, considering that I am the mother of a young child (I have a 9-year-old boy). While most trainings are done with simulant agents (less dangerous versions of the real substances), I had the opportunity of working with the real agents during my training with the OPCW (Organization for the Prohibition of Chemical Weapons) in Slovakia. Also, while I thoroughly enjoy and appreciate the training and teaching opportunities, as well as visiting other countries, the travelling involved has been, at times, hard on my boy. Another challenging situation was that I started training for CBRNe while I was still working fulltime as an analytical chemist at the pharmaceutical laboratory of the Uruguayan Military Hospital. Finally, even though the relative roles of men and women are rapidly evolving, I would not be completely honest if I didn’t mention that there is still a bit of stigma in this field, regarding women. I would have wanted to know about this specific area of chemistry earlier in my career, because once I learned about it I fell in love with it. As my country, Uruguay, was not involved in either of the world wars, it never developed chemical weapons. In fact, it is a chemical weapon-free country, as is the rest of Latin America and the Caribbean. As a consequence, this specific branch of chemistry is not offered as an option in our universities. Had I learnt about it earlier, I would have done everything I could to become an expert in this area, even if it involved taking the necessary courses and training in other countries. The CBRNE defense field is generally perceived as predominantly occupied by men, do you think something should be done, and if so what, to foster women participation in this field? Without a doubt there is a predominance of men, but I think little by little women will be incorporated in this sector. In most countries, the CBRNe specialty is part of the Armed Forces, and women have not been admitted to the armed forces as officers until somewhat recently. For instance, in Uruguay, women were admitted to the Military School for the first time in 1998. 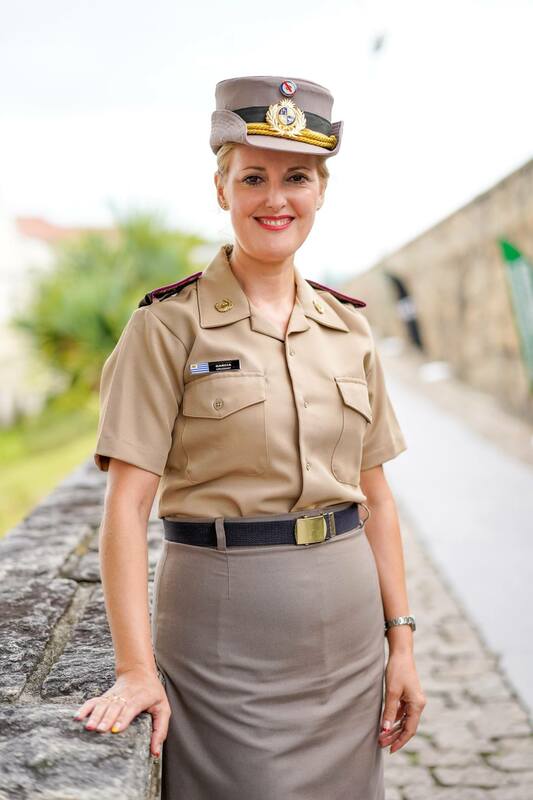 In my personal opinion, the way to foster women in this field is to expose them to it during their formation at the military schools. Give them information about CBRNe, not only regarding the technical aspects of this field, but also discussing the various specialization options available. Personally, I strive to do this whenever I teach at the Uruguayan Army Engineers School , where I have both male and female students. What motivated you to dedicate yourself to CBRN defense? As I mentioned earlier, my first job in the military was in the pharmaceutical laboratory of the Military Hospital. There, I dedicated myself to the Quality Control of medicines and raw materials, an area that I liked very much. However, after many years of doing this job, I needed to look for new experiences, and I wanted a change. In 2005, The OPCW came to evaluate the CBRNe sector of the Uruguayan Army. I was lucky to be invited to their planning meeting as a representative of the Military Hospital’s pharmaceutical chemistry division. At this meeting, the OPCW planned the offering of three training courses for the Uruguayan Army. These included, basic, advanced and specialization courses. These courses were my introduction to the CBRNe field. I realized that I had found my new vocation and I began to train in this area. In 2012, I decided to retire from the Military Hospital’s laboratory and dedicate myself only to the CBRNe field. I was motivated by the curiosity to learn about chemical agents, the participation in training courses, and the possibility of one day becoming a CBRNe instructor. I am proud to say that since 2009 I have been a CBRNe instructor at the Army Engineers School, and since 2017 I participate in the OPCW’s Regional Instructor Exchange Program for Latin America and the Caribbean. In your experience, what can the military learn from the civil sector and vice-versa in CBRN defense? I think that the civil sector can learn from the military one in terms of planning skills, the rigorous use of personal protective equipment, the implementation of standard operational procedures (SOPs), discipline, and sense of teamwork. I haven’t had experience working in the civil sector because as we are a country free of chemical weapons, there aren’t any CBRNe training programs for civilians. Within the civilian that said, industries such as the pesticide, meat processing, and dairy, use potentially harmful substances, and thus those workers receive specific training on these TICs (toxic industrial chemicals). In this sense, the military could learn from these industries’ TICs training. In the CBRNe field there is sometimes a tendency to consider explosives separately from nonconventional threats, in your experience, working against Chemical weapons, but also as Production Manager in an Explosives plant, do you think there is some merit in an integrated approach? It is true that there is a tendency to separate them. I believe that they should be integrated not only in light of the weapons used in some recent terrorist attacks, but also based on the fact that humans have already created weapons that combine the two. In fact, during the cold war, binary weapons were created, which use ammunitions containing two chemical precursors separated by a membrane. Upon firing, the membrane breaks and the two precursors react to produce a chemical warfare agent. Another example are dirty bombs, which combine explosives with radiological substances to get the latter to disseminate across longer distances. So again, I believe explosives should be included amongst nonconventional threats. Can you share good examples of training for responders and in preparation of CBRNe occurrences in Uruguay? Uruguay, established CBRNe programs relatively early compared to other Latin American countries, following the training given by the OPCW in the period 2006-2007. At the time only Uruguay and Colombia received the OPCW training. The CBRN training is offered at the Army Engineers School. Our Basic CBRN course includes basic knowledge about: chemical weapons, methods of identification and detection, classification and use of personal protective equipment, decontamination, command of incidents and triage. The advanced CBRN course is less theoretical and places more emphasis in practical exercises, such as defense and protection, planning of responses to incidents, leadership, command control, responders’ mobilization and training. The graduates of these programs in turn are able to teach the next generation of students. We are currently developing the last cycle in the OPCW training, which is the final specialization course. We estimate this course will be available in 2020. You spoke at NCT South America 2019 where you met with colleagues from across the region, what do you think can be done to improve CBRNe cooperation in Latin America? I think to improve cooperation in Latin America and the Caribbean we need to share knowledge, work as a team, and try to standardize procedures. A way to achieve this, is through the new Instructor Development and Exchange Program for Latin America and the Caribbean. This program is run by the Assistance and Protection Branch of the OPCW in coordination with regional States Parties. This program uses a team of experts from various countries (of which I am part) and is aimed at boosting knowledge and exchange of expertise in the region. It also, reinforces integration between the different countries of the region. This new approach to training has been a positive experience at many levels and should be further carried out. All things considered, I’d like to state that CBRNe agents constitute an emerging risk in any current society, with great probability of being used not that much by regular military forces, but by terrorist groups, extremist religious sects or may be involved in industrial accidents. For this reason, training in this field is of the essence for all nations.